Our Streamfeeder package inserting capability is the definition of versatility. We have Streamfeeder packaging feeders/dispensers designed to place products onto and into boxes traveling on a variety of transports. 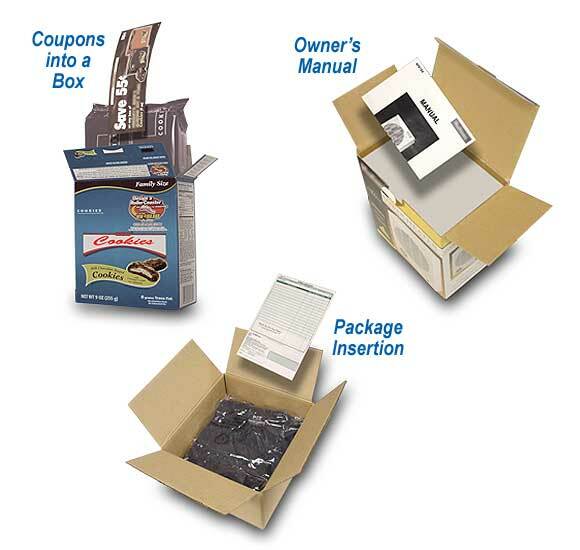 Typical applications would include coupon inserting into open cartons horizontally or vertically, or placing literature or marketing pieces on finished consumer goods. Superior feeding ability along with the latest control technology provides unmatched speed and accuracy with the greatest variety of products.